US-based Seeq Corporation is expanding its global coverage and support for its process manufacturing customers with the addition of more than 50 system integration partners in the Middle East, Europe, North America, South America, and Asia -- along with new offices in Malaysia and Europe. Seeq now has support offices across the US and direct representation in Europe, as well as resale and services partners on six continents. 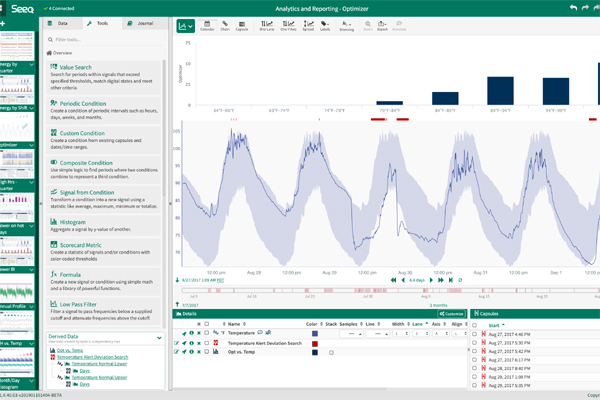 Seeq is an advanced analytics solution for engineers and scientists in process manufacturing organisations to rapidly investigate, collaborate, and publish insights on manufacturing data. Customers include oil and gas, pharmaceutical, chemical, energy, mining, food and beverage, and other process industries. Seeq local resources in Europe, Middle East, and Africa (EMEA) include Mike Purcell as Seeq’s managing director for EMEA. Purcell is a longtime industry veteran who was most recently the vice president for OSIsoft EMEA where he was responsible for partners, marketing, and sales in the Europe, Middle East, and Africa. “Partners and local Seeq resources enable Seeq to better serve our customers and deliver faster decisions to drive ROI,” he added. In concert with this global expansion, Seeq also launched the Seeq Analytics Engineer Certification Program for partners. The certification programme enables partners to work hand-in-hand with Seeq Analytics Engineers through onsite training and custom use case development. “Seeq’s Analytics Engineer Certification Program will enable us to boost our professional credibility and execute projects with even better efficiency. Our engineers are always eager to learn new capabilities that can deliver value to customers and help them realize the benefits of digitalisation, IIoT, and Industry 4.0,” says Kai Weber, chief executive officer of Werusys in Germany, and one of the first partners certified on Seeq. “We see our partnership with Seeq and the Seeq Analytics Certification programme as a way to demonstrate our capabilities and expertise to deliver holistic solutions to challenging problems,” observes Sulaiman Alzuhair, managing director of crucial solutions and services (CSS), Seeq’s exclusive partner in the Saudi Arabia and Gulf Cooperation Council (GCC).